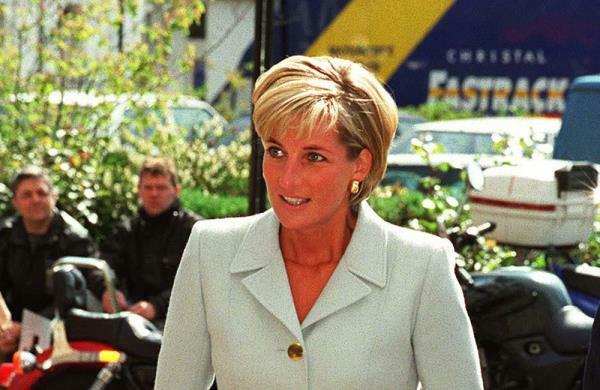 Princess Diana's self-proclaimed "biggest" fans say the late royal has communicated with them from beyond the grave. Princess Diana's self-proclaimed biggest fans say the late royal has communicated with them from beyond the grave. Gloucestershire residents Ken and Jo Dobson have declared themselves "Britain's biggest Diana fanatics", even opening a fan club in her honour called Diana Circle UK, and adorned their entire house with pictures and memorabilia relating to Diana, who died in a car crash in 1997. The couple say they've been fans of the late princess since she first entered public life following her engagement to Prince Charles in 1981, but it wasn't until her death they felt the need to preserve her memory. Jo told the Daily Mail newspaper, "There are seven of us all together and we started this two years after Diana died. We were all standing outside Kensington Palace and we said, 'This woman must never be forgotten; we must keep her memory alive’." Ken and Jo are even in touch with Diana's former butler Paul Burrell, whom they speak to "once a week". The couple believe the late royal has communicated with them in the years following her death and Jo recalls one spooky incident at Christmas one year. She said, "I'll never forget it. We were at my sister's one year and she always had a big Christmas tree for her grandchildren. I just happened to glance up and instead of the fairy on top of the tree there was Diana's face ? and she was just looking down smiling. "Then she gradually faded away until she was gone. We are not spooky or anything but we believe it. We don't care what other people say."